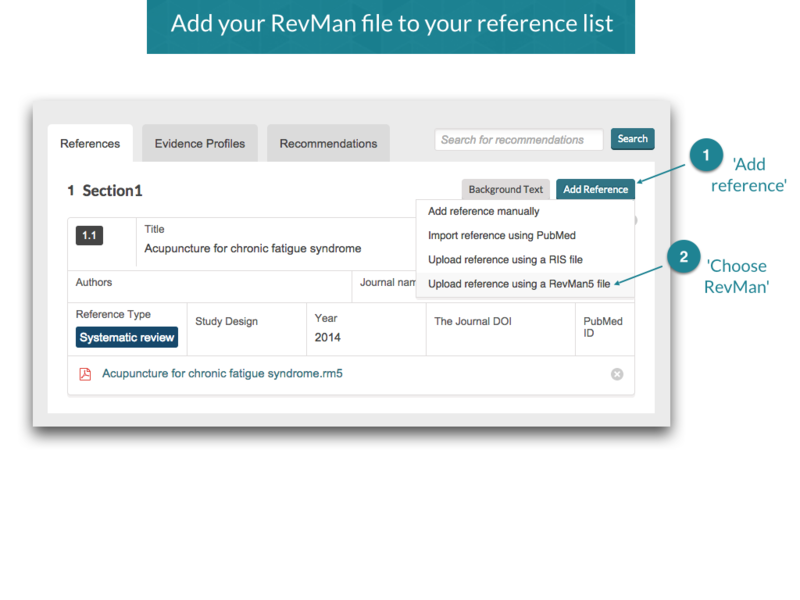 You can use your self made RevMan meta-analyis or published Cochrane Systematic reviews as a reference. 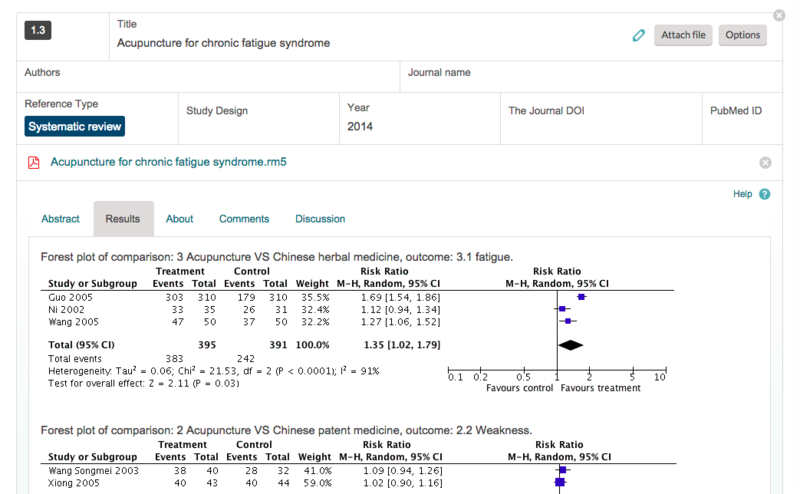 If you use published Systematic reviews, make sure you have the right license to use the content for your guideline. 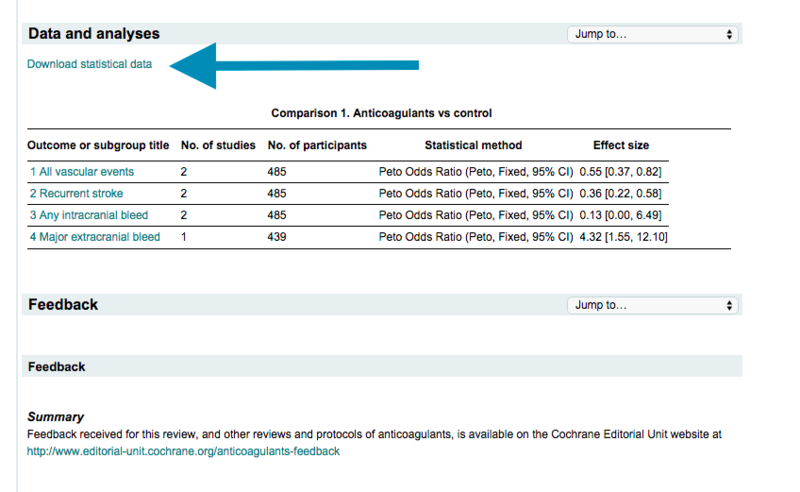 Remember to add your forrestplots as figures before you save your file and upload it to MAGIC. If this is not done, the forrest plots will not show in the reference results. 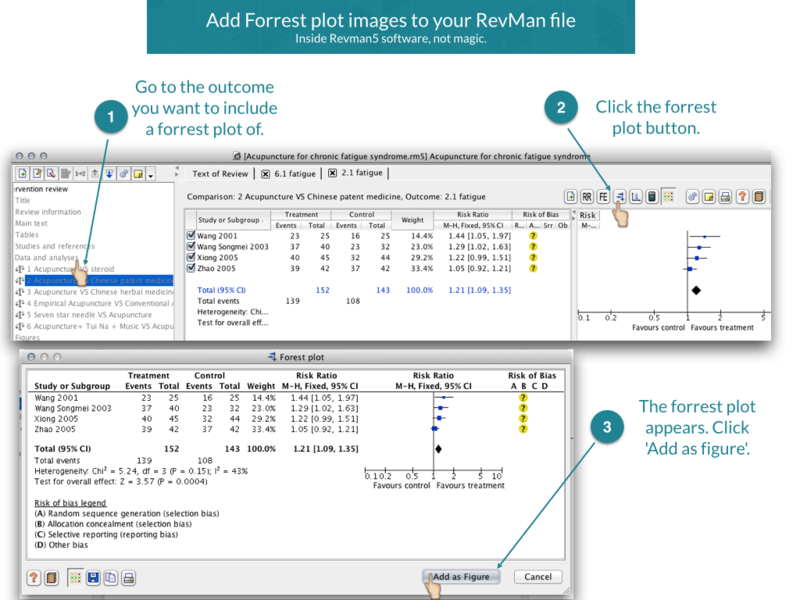 Click the 'Download statistical data' and you'll get the belonging RevMan file. Then follow the same steps as above. 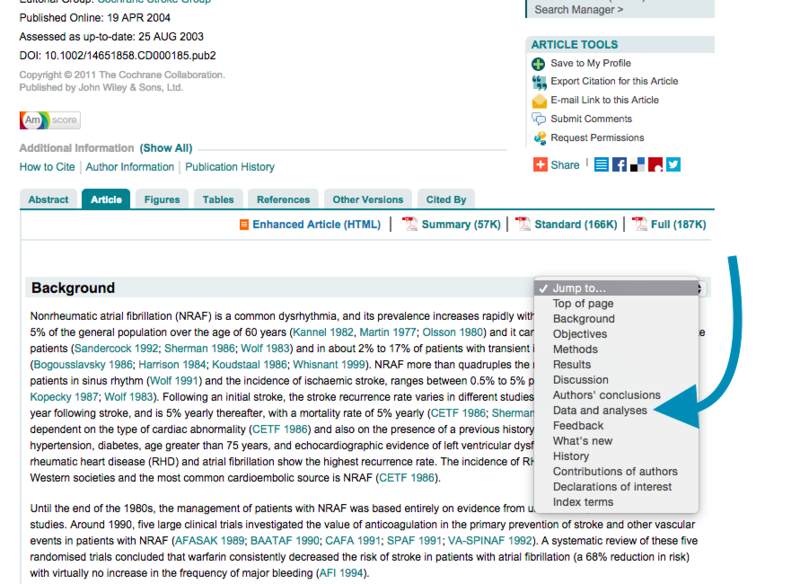 Before doing this, make sure you have the right license to use the content for your guideline.